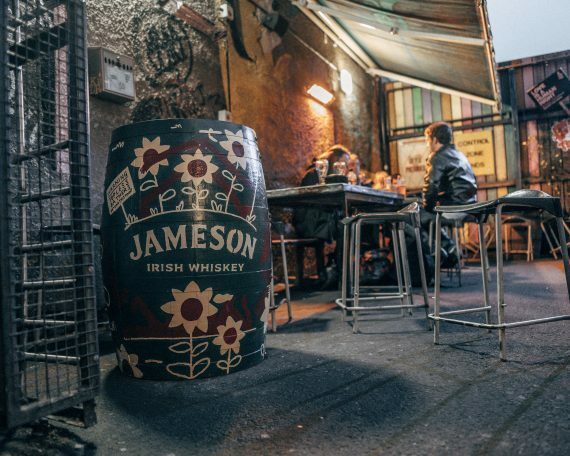 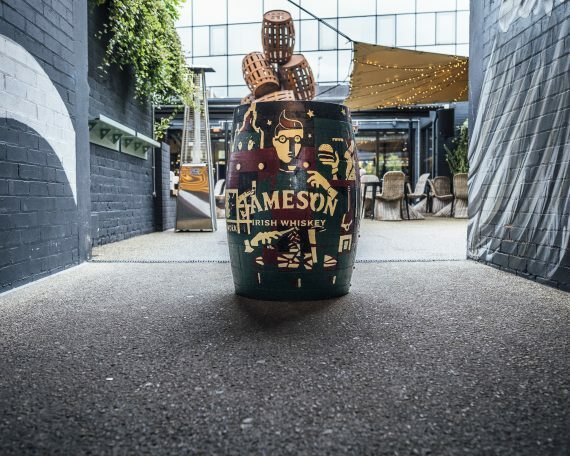 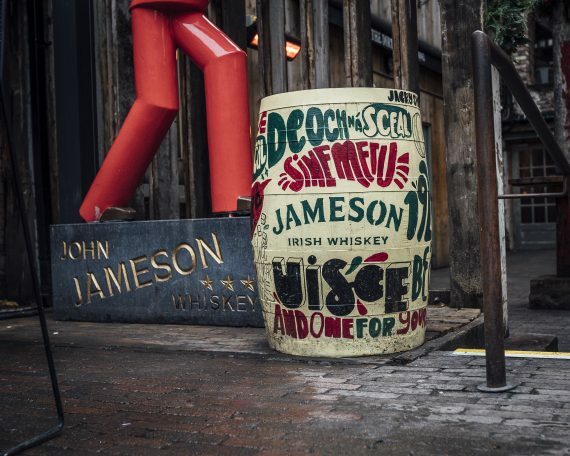 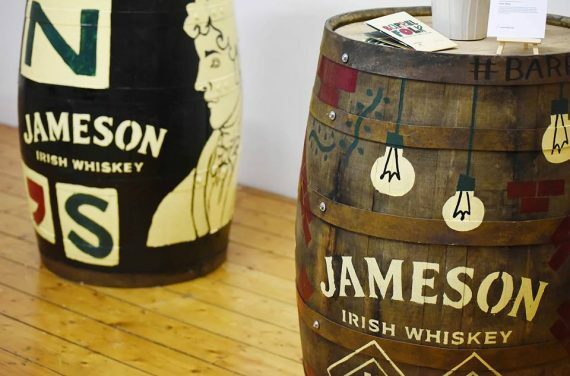 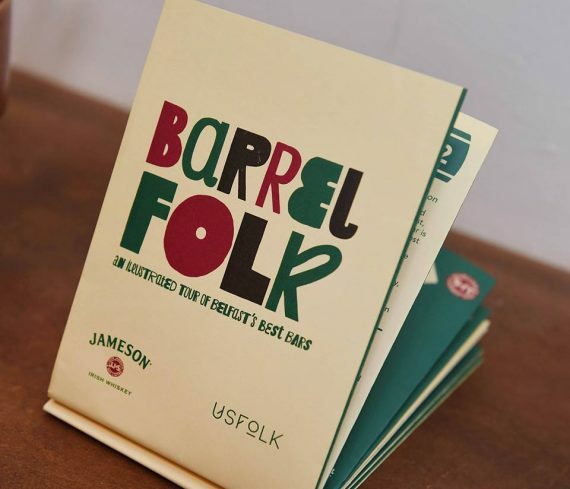 Barrel Folk is a brand new collaboration with UsFolk and Jameson Whiskey NI. 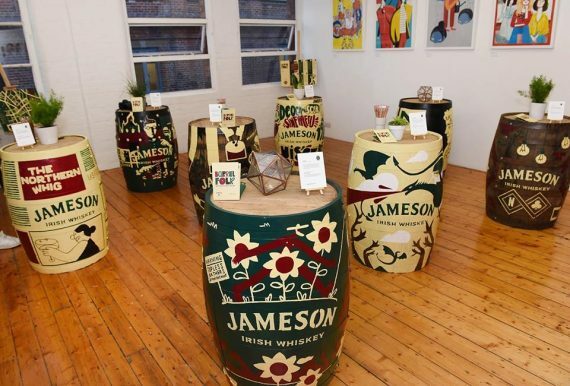 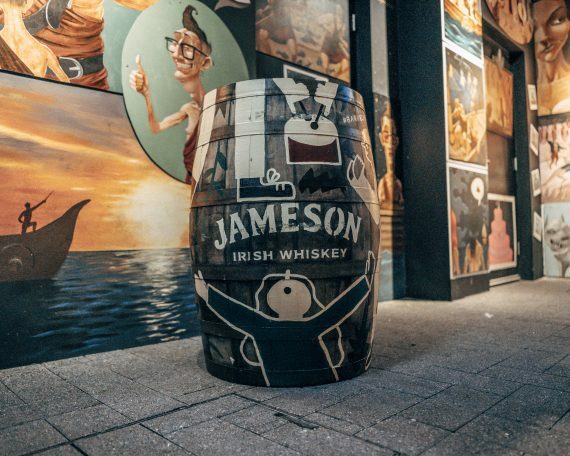 Barrel Folk features some of our agency’s finest illustrators teaming up with some of the best illustration talent down south has to offer, to create a one-off series of specially illustrated, hand-painted Jameson barrels. 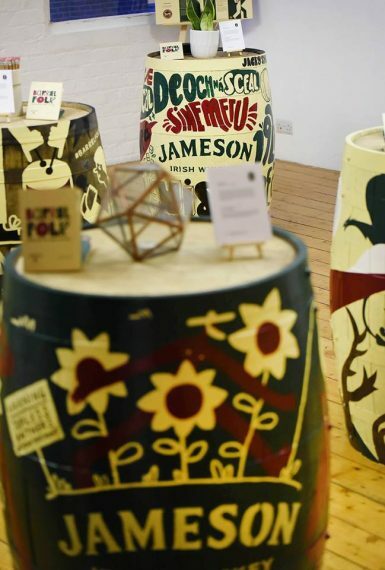 Each of the eight barrels features individual designs that tell the story of many of Belfast’s most iconic bars – through the lens of this inimitable whiskey brand. 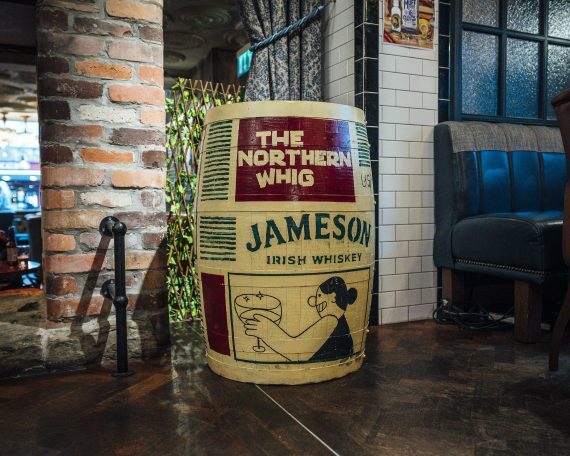 We have to say we are barrelled over with the end result! 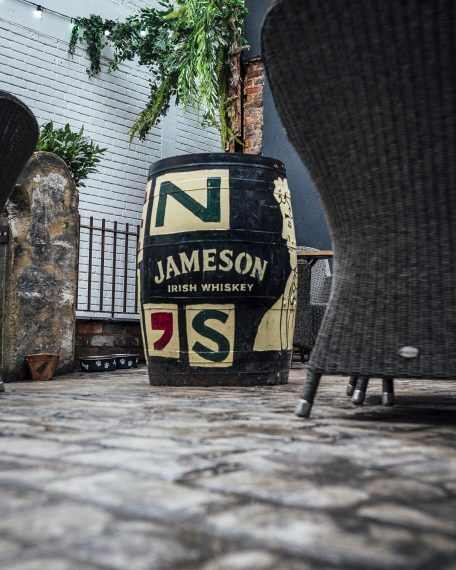 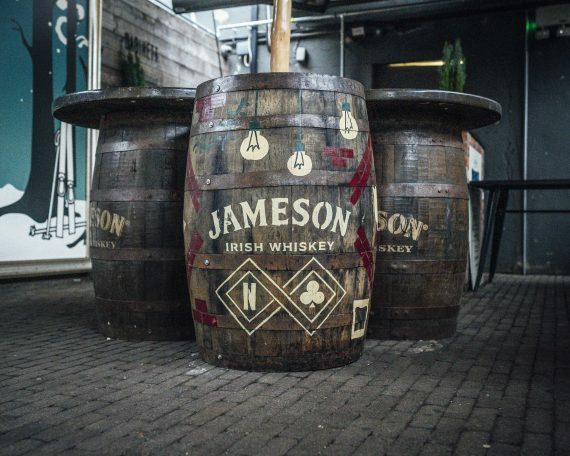 The finished Barrels are now permanently on display in the bar of which their design is inspired. 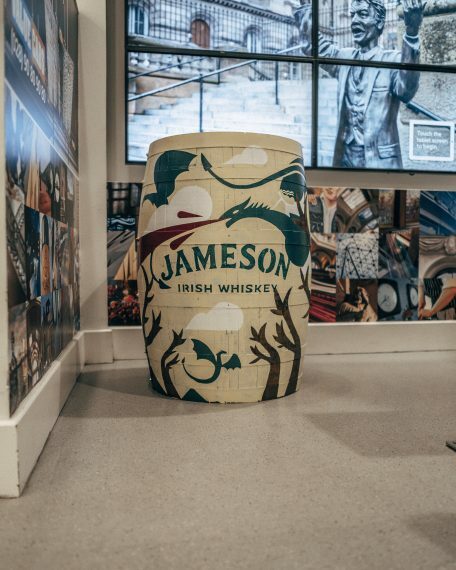 Stop by the Visit Belfast Welcome Centre (just opposite City Hall) to grab a copy of the Barrel Folk map and take yourself on a Jameson Whiskey tour of Belfast.